As we all know, brown butter makes everything better. 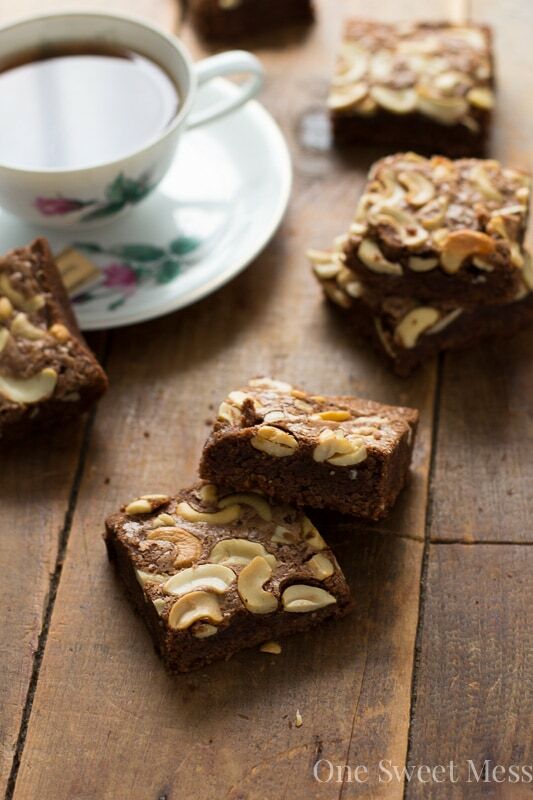 These brown butter brownies with chai are proof. I was recently introduced to the addition of tea in baked goods whilst thumbing through yet another new cookbook. I grew up with a passion for antique teapots and began collecting them at a young age. I relate it to my infatuation Alice in Wonderland. Who doesn’t love a fancy tea party every now and then? When I came across the Alice’s Tea Cup cookbook, I quickly grabbed the book off the shelf and fervently began thumbing through its pages. I noticed that several of their recipes called for dried tea leaves. How clever? Why didn’t I think of this? After successfully adding Earl Grey to brownie pudding, I craved more tea-infused dessert. 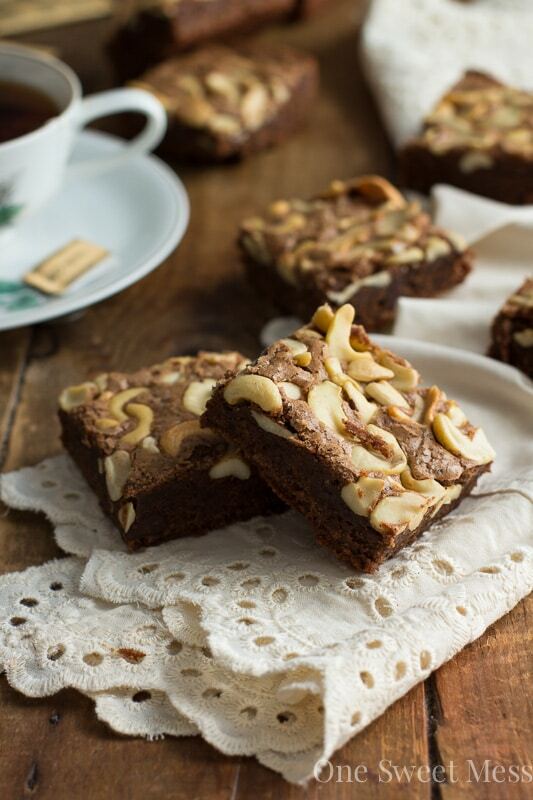 And so, these brown butter chai tea brownies were born. 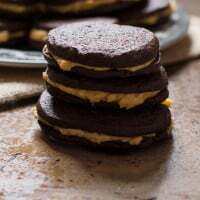 They’re supremely rich, perfectly dense, and loaded with bittersweet chocolate. The chai tea adds a subtle spice to the background with a hints of vanilla and orange, and I topped them with cashew halves for good measure. 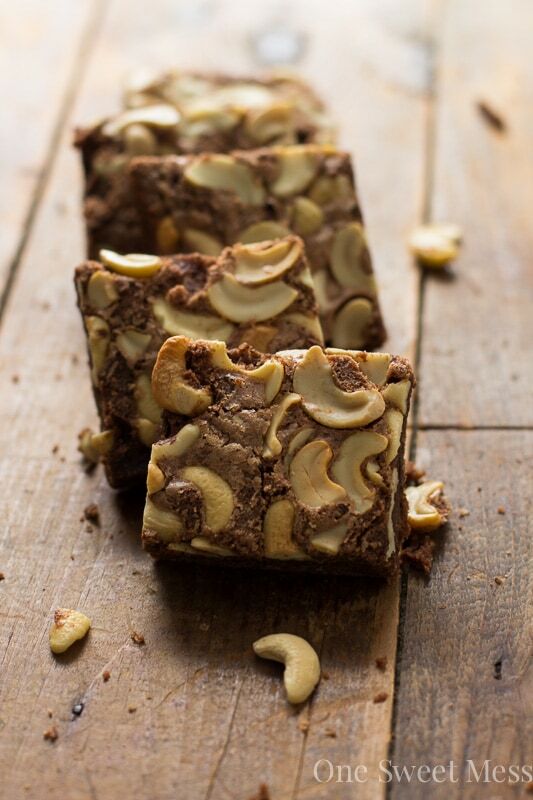 The cashews become sweet and nutty as they toast in the oven and nestle their way into the brownie batter. I think you’ll agree with this declaration, and if you don’t, well, then, we can no longer be friends: brown butter makes everything better! There’s no denying it. There’s no disagreeing. There’s no resisting the urge. 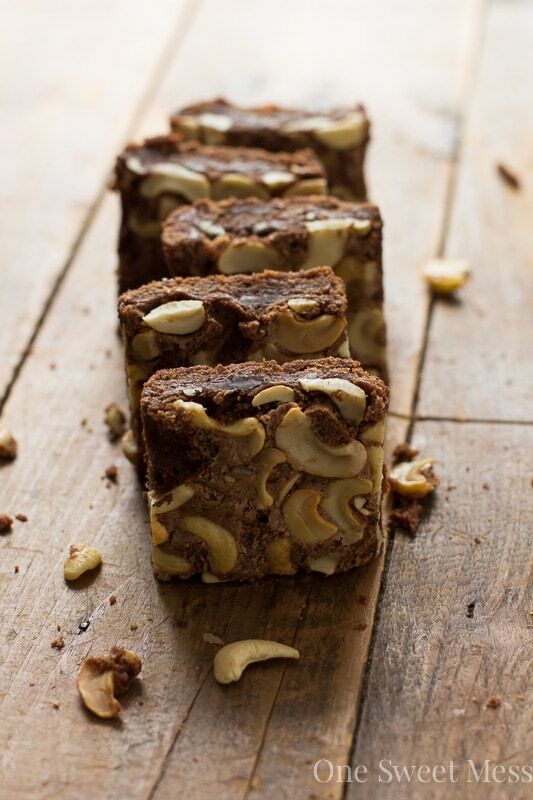 Once you get a whiff of the nutty mixture, you’re all in. It drives your sensory receptacles bonkers. If you’re not familiar with the brown butter process, take a peek at my tutorial. The great thing about this recipe is that it comes together in one bowl. There’s no need to bust out the heavy artillery. A simple bowl, whisk, and rubber spatula will do the trick. The batter comes together in a few short minutes with minimal effort. As you know, I’m all about instant gratification–the quicker, the better. I want to eat my brownies, not wait around for them. As always, I like to serve my brown butter brownies with chai warm. If you’re a perfectionist, you’ll want to wait for the brownies to cool completely before cutting them into squares. If you could care less (like me), rip into that pan immediately. Heck, throw some ice cream on top and make it a sundae. I highly recommend adding a scoop of this Funky Monkey Ice Cream. 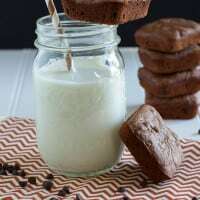 I’ve never thought of adding tea to brownies! This combination of flavors sounds incredible! My taste buds just exploded FER REAL. 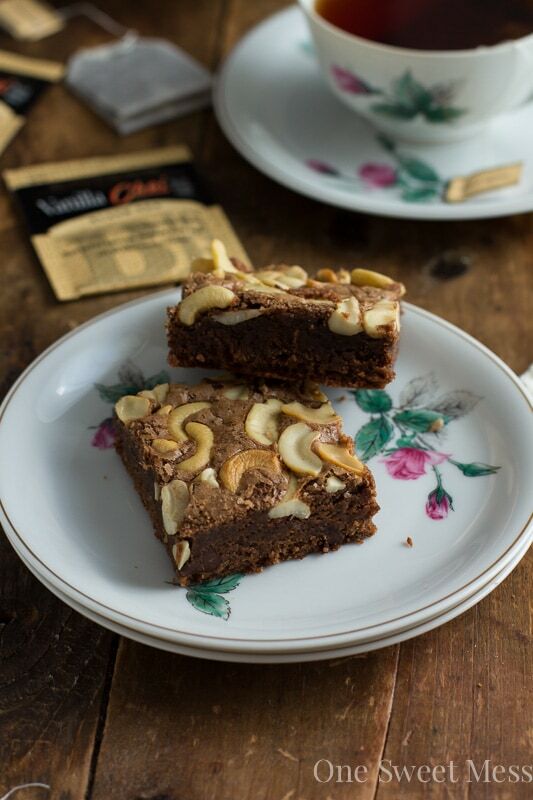 I am obsessed with chai and I think I am doubley-tripley obsessed with it in a brownie with cashews! Swooning over here. Pinned! I love anything with chai spices. Chai and chocolate are a great combination too! I probably wouldn’t be able to eat just one of these brownies. 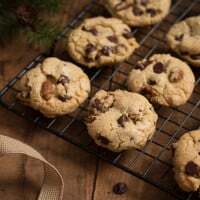 Oh these sound soooo good! I love putting tea in things. Such a fun idea. And with brownies – well I know I’m going to love it! Listen: I’m a huge proponent of chai-ing all the things. Like ALL the things, if i could. I never knew teas could really be a baking ingredient until a few years ago, and it opens up this whole other world of deliciousness, right?